What is LOVE, Dr. Cookerly? : What About a Scientific Definition of Love? Some people are afraid of a scientific definition of love. They think it might remove the mystery, and the magic, and even the wonder and marvel from love. May we suggest there’s nothing to be afraid of. Scientific definitions when they have any public effect at all just help us to be in touch with new things to marvel and wonder about. More commonly they give us ways to be more accurate. With that in mind let’s think about science and defining love. Our brains neurochemically and neuroelectrically process everything we do psychologically including love. 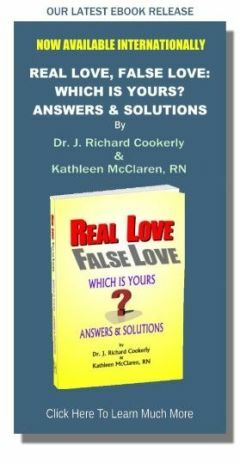 A huge amount of evidence is building up which indicates healthy real love causes all sorts of healthful neurochemical and biological things to happen. 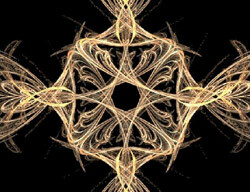 There also is an enormous amount of research-based evidence showing the lack of healthy real love elements in the lives’ of higher order creature causes serious dysfunction and even death. Not only that, but we already know there are some things associated with love which cause all sorts of different neurochemical changes in the brain which then influences the biochemistry of the body. All this suggests that someday the brain sciences and biological sciences will probably be able to give us something of a physiologically based, functional definition of love. Hopefully such a definition won’t be unintelligible to the lay public nor of limited practical use in relationships. New discoveries can add to our knowledge of love and how it is processed especially in the brain. That also could prove medically helpful. By the way, keep watch on this site for information about these interesting areas; we do plan to go over some of the useful and more interesting facts that are known about love and the brain and brain chemistry. Currently the research is insufficient to be able to credibly describe, let alone accurately define, love neuro-scientifically. In fact we may never be able to do that because love may be a phenomenon processed by the brain but not created by it. However, every year a number of scientific disciplines are discovering things that relate to love. Those discoveries give us ‘trend’ evidence as to what love may be all about and those discoveries are quite useful. There is one type of scientific definition which can tell us some very important things about love. In the behavioral sciences much use has been made of what is known as an ‘operational definition’. In this a phenomenon is defined by the operations it takes to identify and measure it. Rain can be identified by the operation of going outside and having descending precipitation get you wet. Rain can be measured by holding up a glass and seeing how much water falls into the glass as you get wet. Those two operations can give us an operational definition of rain. Temperature can be defined by the operations of a thermometer. Driving can be defined by all the complicated operations of getting in a car and making it go somewhere. Defining healthy real love operationally is somewhat more complicated. Lucky for us the social psychologists with help from the comparative animal psychologists, the developmentalists, and with background from the pediatric psychiatrists and cultural anthropologists, plus others with much labor have identified eight groups of behavior by which we directly get and give love. This provides us with the operations of love. Interestingly it seems each of these groups of love behaviors bring about different biological, emotional, mental, relational and social improvements in both human and animal well-being. To this we must add the research which shows four other ‘mega’ love action categories. Here we are going to give you just a short introduction to these love behavior categories; there is much much more about them that can be written, learned, and most importantly practiced.